i for one, am so happy this week is FINALLY over. it felt too long for my liking. 1. i don't like that name of my blog. not at all. 238434 people have the blog title "life as i know it" it is very unoriginal, and very not me. one day i will change it, but for now it is what it is. 2. contrary to popular belief, i am not a freaking robot!!! let's all do away with these, shall we? 3. this week as i showered, i noticed some weird things that i do. number one, i engage in what i call "burn therapy"
this is when i turn the water as hot as it will go stand there until i get used to it. 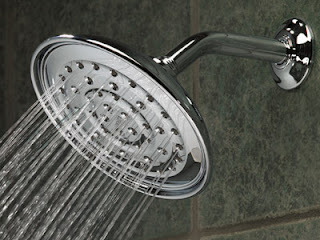 i have eczema and the hot water fulfills the itch more than scratching can do. 4. number four also takes place in the shower. my hair sheds like crazy and tends to clog the drain. decorate the tile with my hair. hahaha bless my future husbands heart, he's in for a good surprise. 5. i prefer college ruled paper to wide ruled paper. my handwriting just looks better. 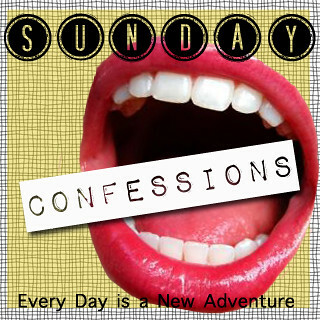 my confessions, until next week. 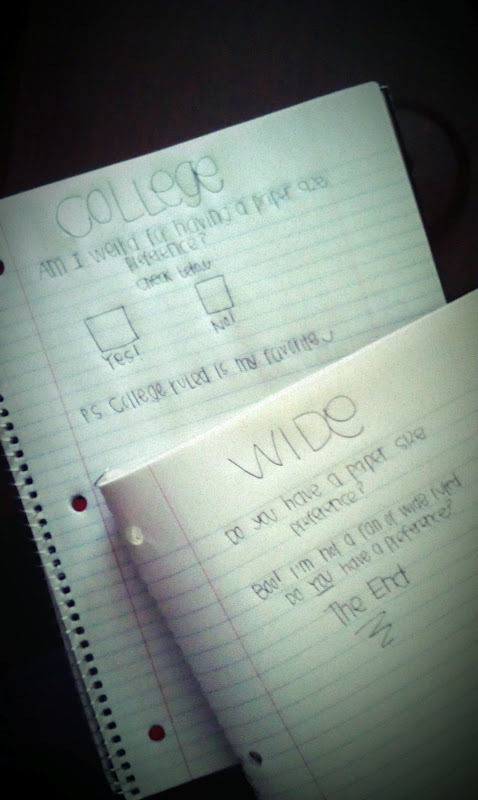 Bahaha, I prefer college ruled paper, too. 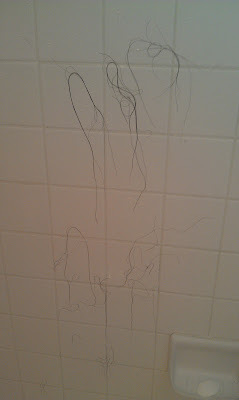 And... my shower wall is always covered in my hair. Oh word verification is the most annoying thing in blog land! Bah! I put my hair on the shower walls as well :) But I clean it off after each shower because it drives the hubs crazy! Haha my shower used to be covered in hair until my bf yelled at me for that. 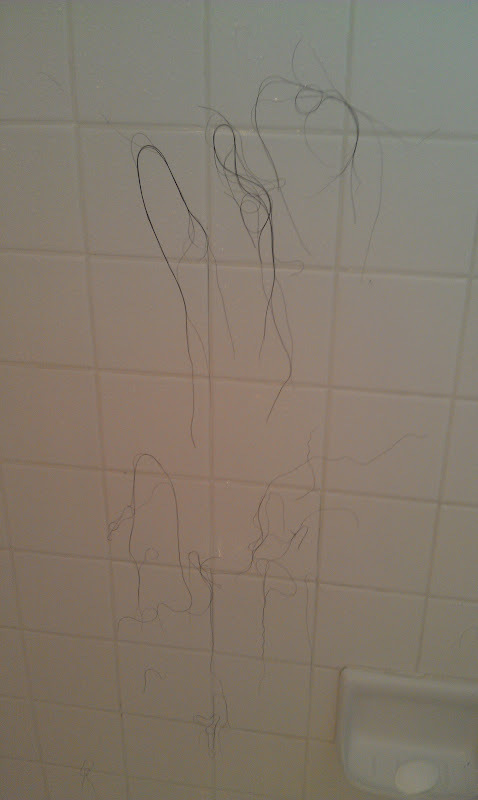 i thought i'm the only one with hair problem in the shower. i don't know what to do to make them stop falling. duh! i too, shed in the shower. oh my GOSH! 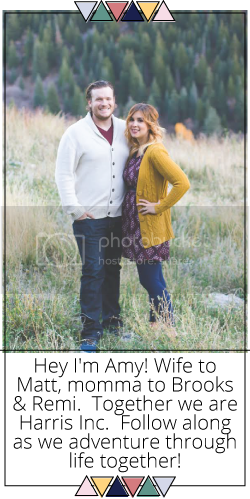 I read all these comments and I am SHOWING my husband this!! He always threatens to tell people about my hair on the shower wall, like it's a big secret, but apparently I'M NOT ALONE! I found your blog because of the pic of "college vs wide ruled", and I definitely agree with you! LOLz! I can't stand wide ruled ever... it's just too fat, so it makes my handwriting all huge and messy! haha!